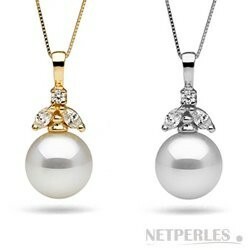 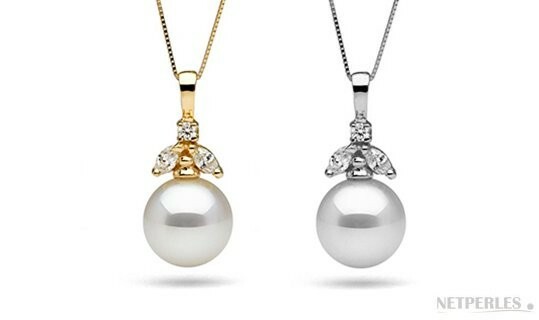 This 14k Yellow or White gold pendant features a lustrous perfectly round White Silver South Sea pearl, AAA quality with a bright luster and a smooth surface. 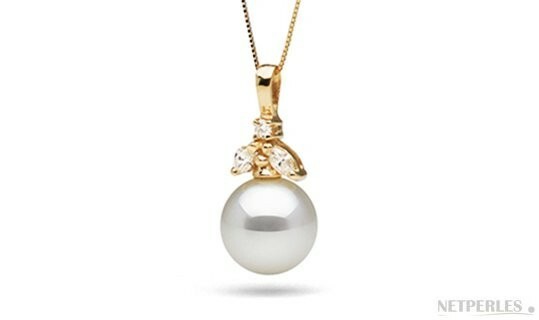 The pendant is adorned with a single 5-point round brilliant cut diamond, and two large marquise cut diamonds, totalling a quarter-carat (0.25ct) of G VS1 quality diamonds. 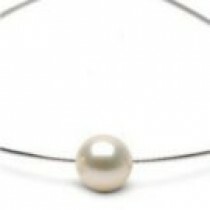 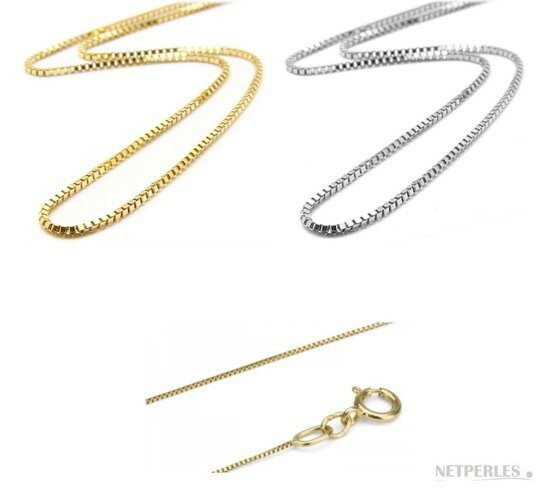 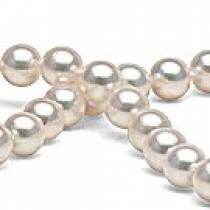 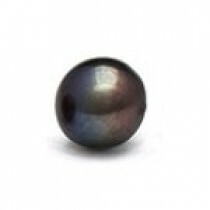 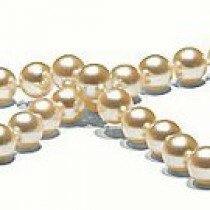 You can choose the pearl size from 10-11 mm.